The building could have housed up to 20,000 scrolls and might even be the oldest library discovered in the north-west ancient Roman provinces. 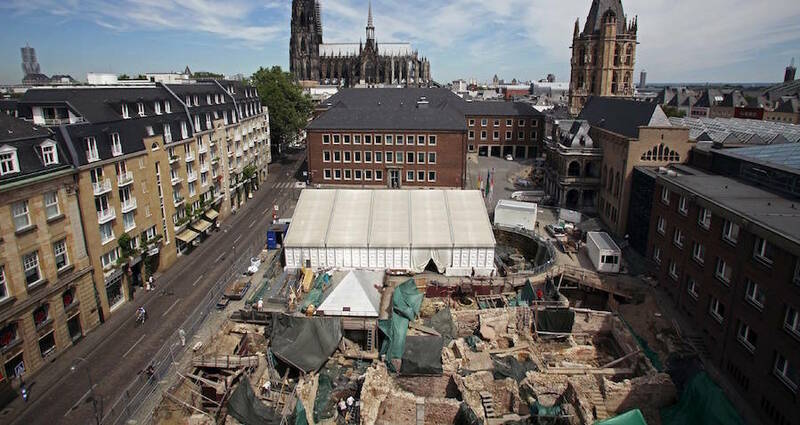 In 2017, archeologists were conducting an excavation on the grounds of a Protestant church located in the center of Cologne, Germany when they discovered ancient walls lying beneath the church. Experts now know that the building they uncovered is Germany’s oldest public library, which dates back to the 2nd century A.D. 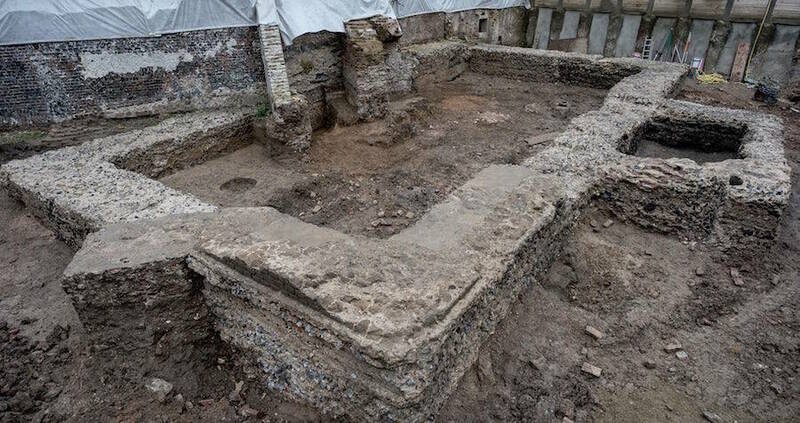 When archeologists first discovered the building’s walls beneath the church, they immediately knew that it dated back to ancient Roman times. But they exactly didn’t know what the building could have been used for. What tripped up scientists were the niches in the walls of the building they discovered that measure approximately 80cm by 50cm (or 31.5in by 19.7in). “It took us some time to match up the parallels – we could see the niches were too small to bear statues inside. But what they are are kind of cupboards for the scrolls,” said Dr. Dirk Schmitz from the Roman-Germanic Museum of Cologne. Dr. Schmitz also adds that the library’s central location is how experts can determine that this library was a public one. “It is in the middle of Cologne, in the marketplace, or forum: the public space in the city centre. It is built of very strong materials, and such buildings, because they are so huge, were public,” he said. This major German city isn’t a stranger to ancient ruins. Cologne was founded by the Romans in 50 A.D. under the name Colonia Claudia Ara Agrippinensium — or, simply put, Colonia. The first urban settlement in this region actually dates back to 38 A.D., but eventually became an officially colony under Emperor Claudius 12 years later. Cologne’s Roman Praetorium is perhaps the most important archeological site in the city, which dates back to 1st century AD. There tourists can view the ruins of the official residence of the Imperial Governor of Colonia. 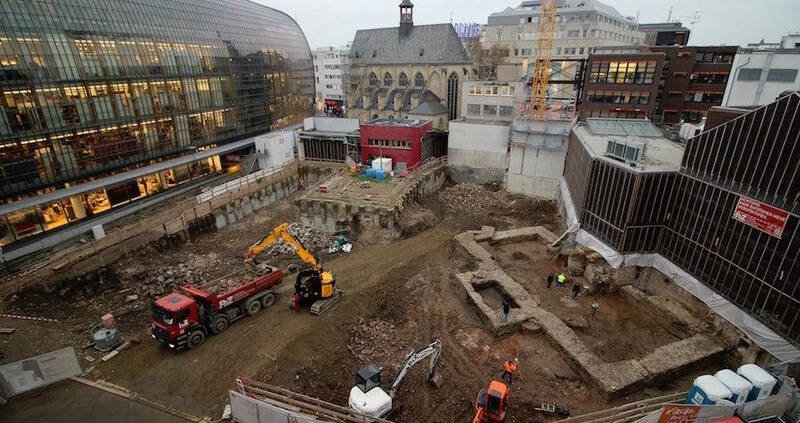 These ruins were coincidentally enough discovered underneath Cologne’s city hall building. The only other uncovered ruin of Roman Cologne is the Roman Tower, which also dates back to the 1st century. Any other remnants of ancient Colonia remain underneath modern-day Cologne, and have yet to be excavated.